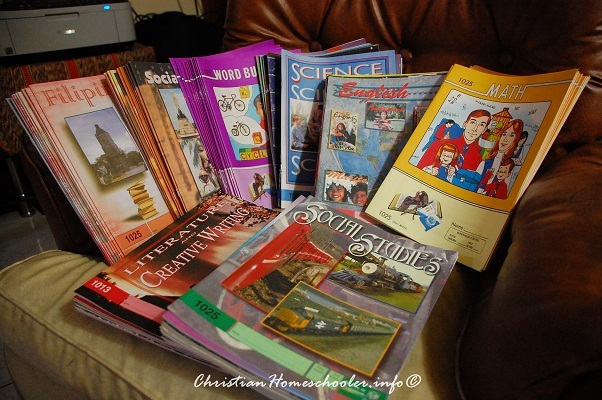 Our homeschooler started having the subject Literature and Creative Writing when he was in Level 3. He is towards the last couple of PACES of Level 4. 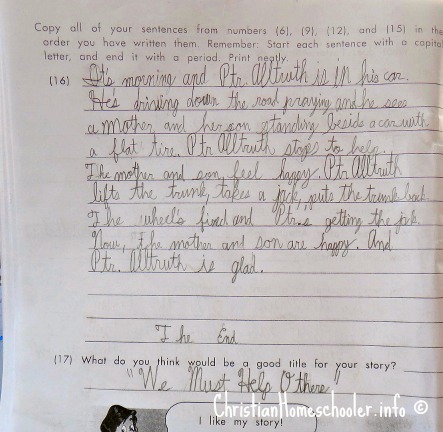 It has since been the one subject our homeschooler persistently excels at. I think it comes with the fact that he started embracing the love for reading early. It was in the first 3 months of his preschool years when this little guy surprised us with reading straight from the book. He was 4 years old then. We cannot emphasize enough how much we appreciate the reading program of the School of Tomorrow. They have designed it in a way that the progression of the student’s reading to be natural. Plus the fact that our son is so good at his phonetics, that he has gone beyond us, his parents. It is now he that corrects our enunciation sometimes.  Puts sentences, instructions, and stories in order; learns sequencing and placement .  Uses action and descriptive words and learns about limericks.  Discovers heroes and enemies in a story .  Creates stories from pictures .  Writes story titles and reports .  Continues to practice speed-reading and handwriting skills .  Locates places on maps .  Uses Scripture to learn how to respond to difficult situations that might arise . Since I was schooled in a traditional setting, I remember doing similar types of informal writing. Only, it was not as progressively designed as the curriculum we use. The contractions. Go easy on them. As much as I would love to have our student to have a relaxed tone in the way he writes, I really would rather that he gets used to avoiding contractions to get him ready for more formal writing he is set to do when he advances to higher school level. It has been a couple months since we started with our Level 3 PACES and I just realized I still have not posted the subjects that our homeschooler has been working on since. Aside from our son’s subjects from Level 1 and 2, Level 3 ushered in a brand new subject for him – Literature and Creative Writing, which in no time became another favorite. The other one being, Science.